Gor Mahia’s Brazilian tactician Ze Maria has expressed his displeasure with a section of fans who jeered the players after the match against Posta Rangers. This happened after Kogalo yet again failed to capitalize on a slip by league leaders Tusker. Ze Maria is calling upon fans to rally behind the teams even during difficult times. But Ze Maria should know better. He after all played for Brazil which has some of the most demanding fans. Just recently the Brazilian team was booed when they were held scoreless by South Africa. We are fans,how are we supposed to react when the team is misperforming? As coach, you are being paid a 5star salary and as fans we invest in the team by paying to watch matches and follow the team financially,physically and emotionally. It therefore follows that we should get a 5star performance in return for our investment.Find a way of breaking down the defensive teams…coz they all are.If they are giving 200% against us,let’s give 201% against them!! We are fast running out of time and excuses.If we continue with that trend we will get to the end of the season with Tusker on top!! Ze Maria should style up and change tactics. At the end of first leg Kogalo was invisible what happened during transfer window? All KPL teams play hard with Gor I think Kogalo should play harder also. I suggest the coach brings back Sibomana. Wellington to replace Karim Nzigimana. Eric Ouma can be coached to play in place of Aucho defensive midfielder. Odula can replace Black Berry. As I suggested before we need hard and intelligent players to break negative tactics. I agree with you totally. Karim needs some rest. Generally all the players are sluggish and that puts their fitness level to question. Of course with Prof. Sandro Fontino Onyango as their physical trainer we should not expect anything better. Guys if you can remember Gor Mahia used to be much more stronger in the 2nd half during FN’ s time. I am also displeased with the display the team gave under his tutelage. The other big disappointment is the juvenile and unprofessional conduct of his partner Prof. Sandro Fontino Onyango. I have been Ze Maria’s ardent fan, I must say it has reached a point when I start to doubt his credentials as a coach. His association with a tout masquerading as a physical trainer is even more disappointing. What kind of serious physical trainer would come to the ground drunk? Prof. Sandro Fontino Onyango behavior was no less than Kofi Olomide’s and for that reason he should deported immediately he was done with brandishing his middle fingers. Omera wuod Maria you dosnt now us. Just to talk atoka and no gols. Okbichaloni. Kara Zimarichwa ni yamo kara lalne. Badala kifunga domo kukosa kusco anaongea nini. Si nasoea Frank Otis Wuod natal. Hapana ongea mingi. Yeye hapana sema mbaya juu ya mafuns. Naambia tu funs ni tafdhalini kuja supot tim. Malit osiko. To pod aparo kaka Otis Wuod natal ne miyowa mor. AWUORO RACHIER. KWERURU ZIMARICHWA NO. SISI NATAMBUA GOLS. HATA KAMA NI OLUOCH NDIO TASCO BOUT USINDI. CHOKEE. Okekanago kwisa sema oromo natosa, apana ongeza. TIBIIM. Hapana wao kuleta mcheso. Sisi ndiyo gor kama mbaya. Hata tiagas ya kaseri hatuogopangi. CHOKEE. Gor tu ndo furaha zetu. Hahaha Ze Maria, please direct your energy where it is needed..in getting your style of play right and getting points and winning games for Gor Mahia because that is what you are paid to do. Don’t divert attention from the reality. These Gor Mahia fans are so powerful that they can Make you stay as a coach at GM or use their might to see you off. Don’t say you were not warned. These die hard fans are used to winning and deserved losses and draws but not these draws we are currently witnessing. I thought as a Brazilian and professional footballer, you should take positives from such actions by fans and rectify where necessary but not to engage and confront fans. You should start by criticizing that mzungu guy in GM TB ( I don’t know his name and post at GM) who shouts and confronts referees and runs around the pitch like a triple jump athlete. I guess he has also learned from Kagere and Tuyisenge to run around bumping on each other like headless Chicken. If you cant take this from GM fans then shop around for teams without fans in Kenya like Nakuru Top Fry hoping that you the fans don’t ”fry” you there. Back to my slumber awaiting to be woken up when Tuyisenge scores. This slumber is taking longer than I expected. please cover yourself warmly. The first 45 minutes of play had no single shot at goal. This Ze Maria is calling for trouble. Not even Rachier can stop the mighty fans from showing him the door. Let his handlers advise him accordingly. How do you boo selectively? Egyptian giants Al Ahly have imposed fines on their players following their 2-2 draw with Zambia’s Zesco United in a CAF Champions League group stage match on Friday night. The result at the Borg El Arab Stadium in Alexandria means eight-time African champions Al Ahly will be eliminated from the competition if Morocco’s Wydad Casablanca defeat Ivorians ASEC Mimosas on Sunday. -Players will be heavily fined after the draw. The fines will be exceptional as it will be directly a deduction from the contracts as we aim to correct our path and return to winning ways in the coming period, Al Ahly’s football director Sayed Abdel-Hafiz is quoted on the club’s official website. Under-fire coach Martin Jol insisted that a lack of fortune and fatigue cost his side the victory against Zesco. -We dominated the match and became better in the second half, but finally we weren’t lucky enough, Jol said in the post-match press conference. The defence’s performance wasn’t perfect and we were suffering from fatigue. We will stick with hope until the last game and I will fight with my players to proceed to the final rounds of the Champions League. The draw and possible elimination from the Champions League follows hot on the heels of a 3-1 loss to arch rivals Zamalek in the Egyptian Cup earlier in the week. Can we bring FN to replace Fantoni.This is how professional teams are staffed.On Karim I have said he is very important yet very predictable. What worked last year won’t necessarily work this time.Why always run to the corner flag to cross or make needless back passes while playing with no urgency. Next game is Wellington’s turn and I hope he does not run to the corner flag to make a cross.Wafula should be put in place of Kagere or behind the two strikers.We are tired of predictable football. Ecclesiates 3:1-8,THERE IS A TIME FOR EVERYTHING 1) TO THE GREEN ARMY,IF THINGS ARE WRONG YOU ARE RIGHT TO SHOW DISPLEASURE 2) TO TB & PLAYERS THIS IS THE TIME TO WIN NOT DRAW/LOSE 3) TO AR & CO YOU’VE WASTED THE FIRST YEAR OF A KES.65M/PER YEAR SPONSORSHIP. MIGHTY K’GALO IS A GREAT FOOTBALL CLUB.AS MUCH AS OTHER PROJECTS ARE NECCESSARY OF PARAMOUNT IMPORTANCE IS WINNING TITLES LOCALLY, REGIONALLY THEN CONTINENTALLY. 4) AT NEXT ELECTIONS A TIME FOR AR & CO. TO GO! @ Moses you raised an important point about Karim’s play but remember “running & thinking at the same time” in addition to which I hope GMFC TB and players spend time reviewing their matches on screen. If they do mbona no improvement. RACHIER IS MANAGING GOR MAHIA LIKE HIS PERSONAL PROPERTY. THAT IS WHY HE CHASED A PERFORMING GENTLEMAN AND BROUGHT THIS MAN WHO THINKS THAT HE CAN ENGAGE WITH FANS DIRECTLY DESPITE HIS PATHETIC RESULTS. PESA WANAYO. NA HIYO PESA RACHIER HAKUTAKA FN ALIPWE. I SAID FROM THE BEGINNING THAT HATA AFADHALI LOGA. HIS THEATRICS ALONE COULD SHOW THE PLAYERS THAT THEY NEED TO SCORE. HUYU JAMA ASITUPIME AKILI. THIS IS GOR MAHIA. WE KNOW WHICH TEAMS ARE OUR WORTHY OPPONENTS IN SPL. NOT EVERY KK, SONY, BANDARI………..NAME THEM. Let Gor fans including t6he old guards like myself, whats up! !, there is something in Kogalo. Away from our obvious frustrations and our positive expectations whenever Gor is playing, Could it be that the events happening to other clubs where they are loosing with big and small margins or even drawing be an indication that the League is becoming tighter. In fact I am even surprised that Tusker just can’t get away from K’Ogalo? If for this point it is the case, then it is good for the league. Every Team must be respected and considered a winner every time they are playing. I also think that every player as an individual have woken up to their aspirations. They are no longer playing for the sake. Our league with the few sponsors on board and the publicity given through the Media has opened the opportunity for players to show case their Talents. In a Nutshell the second leg is going to be pretty hard and everybody must put in extra for any positive results. Team K’Ogalo we love you and appreciate each and everyone of you. FN was amongst the best coaches who managed our team in recent times but because of myopic ego of Rachier and co he was bundled out because of sabotage by some non performing players. I keep asking myself the impact that was brought by our mid season acquisitions and the answer is poor. Now who scouted this players? Why should we sign Odula and he’s rotting in bench Omera Ze Maria l pity with you coz we had foreseen this coming but we were labelled plastic fans. If we loose against Ulinzi and Mashemeji then l fear you can come face to face with Fans wrath. The earlier you change your tactics and register positive results the better for you, otherwise fans will expose their frustrations which can result to violence hence deduction of points or even being banned from stadiums accompanied by fines we can even loose our sponsors if ugly scenes happen. I understand the stakes are high but you need bench some jokers/fatigued players otherwise l still believe the league is ours to loose. Yaani Draw maria ngisowa ni waling, to kare ochawa? very nice very nice, openj Zico, Prof. Nuttal nyale, wuod Kanyamwa nyale, an arito dwok Nuttal ei tim magalamoro, Obongo nyakalaga gwedhwa gi the unbeaten coach kendo, kuom yie mari alami, ruoth kechwa. My colleagues, today am also a bitter man. I think apart from Kagere,we had a totally raw deal from mid season signings. Why did that happen and there was money and we were all waiting for that window to improve the team? To bring on game changers? Having watched him overtime to be honest, I have not seen anything in Baron Okech. John “Softie” Ndirangu was all there for grabs until taken by AFC? Who will unearth if there was some scandal here, starting with the Thiago case? And now with the Gattuso case, who will stop this circus? Just lets not go to CECAFA club championship when it will be held, it will be humiliation and unnecessary embarrassment. I hardly get angry but I repeat, today I AM A BITTER DISAPPOINTED MAN. Okewkanango konya owadwa. We nachekesa ngato nono na mi nahusunisa sana. Lamo ni dwaro got Fatimo kuma baba Melkio ne leme. Ka OK kamano arodha gi del bende chiegni gi alam. Jachiend Juogi wakowo kochomo namb kanango Mwalo. Juogi donge ingeyo ni wuoyoga korodhi Omin. Juogi kose kudni? His behaviour is disgusting. This is pure maggot. Juogi behave very rationally. Omin en gi juogi marach….kinde ma oidhe to otimo gik ma okia. siku ingine ma giling to en msuri sana. It is only in Kogallo that propaganda reigns above public demand. There is Collins Okoth, a darling of Rachier who is used to frustrate coaches with the overall aim of forcing them to submit to Rachier. There is Ngala, the exact replica of ‘squeeler’ in George Orwell’s Animal Farm. Now, there are fans whose role is to assure the rest that the pilot is sane and alert even when the plane is plunging speedy fast onto the rugged mountain. Only Gor has the highest rated pair of forwarders who have failed to score a goal. It is only in Gor where Gatusso can find a safe haven even after falling apart with his coach at Thika, Tusker then Gor itself. Gor sacked its former coach for failing to take a paycut then brought some Alehandro who earns the same salary, packed with an Italian drug addict and a fellow Brazillian whose only role is to earn salary without playing. BRING BACK NUTTAL, RACHIER OUT. 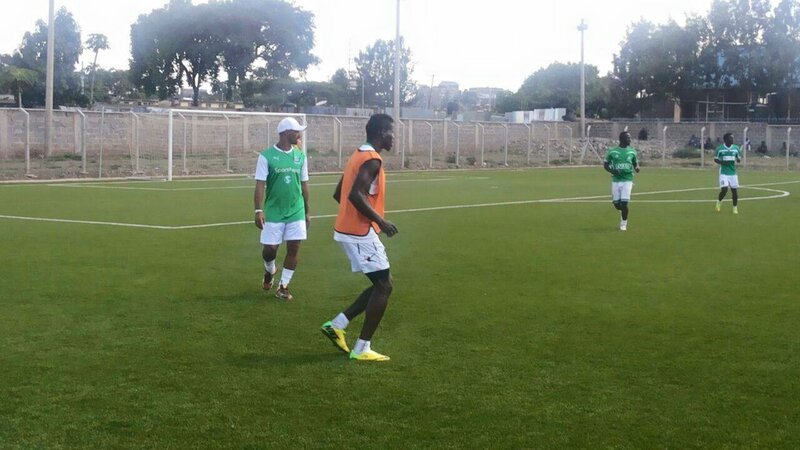 The EC should interrogate and audit the kind of physical training that Gor Mahia players are taken through. Why does every player look so worn out? When did they exercise in water last? Ja’Asego you need to appear because we have so much we need to pass across to Ze Maria and the EC. impatient Gor Mahia fans, please don’t come back to stadium when we start winning matches, we are winning soon. Coach keep focus don’t listen to these happy go lucky fans, you are managing well. The mood on this blog is representative of the collective anger of the Kogallo fanbase and should tell Ze Maria that he needs to start winning. I am tired of complaining so aweyo jopiny mana gi machuok go. Tibim. Omera coch Jasego kama we nashaongea ngato nono hawes kata. Koro coch Jasego owacho ni wa supot Zimarichwa ni. Kone oru owuo matin. Oesimu funs. An Koro helmeda Mar ngwej ibc manaparo dhi go pap aweyo. Onyeseni yeye vile tafanya bwana. Kama coch Jasego nashaongea ngato nono natulia. Gatusono bende ulose wachne. We nafanya mzuri kuongea kwa sababu si nalishanza kusema ni karach to rach. Chuo oradi. God forbid, Jasego pleeeasee you can’t be serious. Are you saying EC let Ian Otieno go to Paka Original to safeguard some scared cow moving down the pecking order to GK no.3. Do you guys at EC ever even remotely contemplate Mighty Gor Mahia being continental champions again! You’ve wasted a year of sponsorship! SHIDA YA KO’GALO HATA SIO ZE MARIA IT BLOATED BLUNDERING AR LED EC. #RACHIEROUTTUMESTAGNATE! Jasego resign otherwise you can’t change them most likely they’ll change you! Jasego spot on.Ovella Ochieng was superb in the few minutes away inGuinea, Softie ndirangu and ian otieno.All these missed. It was once mentioned here that Tom Ogweno is very good in that “area”. Yes @ BB.and since he started being vexed by the coach the results are there for all to see,he plays a rather crucial and spiritual role at GM such that people who know him well know how to handle him but the brazilian might not subscribe to this school of thought.Ogweno okywaree go iwene kore oloso weche nego to club dhi mbele…Ask Logarusic about 2012 league deciding match vs Thika at Tok Komwanda what vexing Ogweno can do? Ei, otek small. Thank yu. Plis dosnt tell pipo wa aoulusa we nani. Nyaka ibed mariek kamano. Zimarichwa neno ga mamuol yawa kara wat is. Isokei Isorait Mungu tasaidia sisi. Thanks Ja’ Asego. Just wondering how Rachier ended up bringing all these Brazillians at ago. How much had he gathered about them. No wonder the proponents of this brazillian projectcs have gone mute . They have tried to protect himaat all costs. They have level us goons, plastic fans, that was until Fontino or whatever he is called proved to them that the real goon is within the TB. I think Rachier HAS OUTLIVED HIS USEFULNESS AT GOR. Well said Ja’Asego and thank you for appearing at the hour of need. Unfortunately, you have only given a sweet to a crying child without addressing the cause of the cry. The important point in your comment is that we should all continue to support the coach. Foremost Ze Maria needs to be advised that he has enough serious problems and should not compound them by antagonizing fans. Every wise coach will always be careful to keep fans on his side. Secondly the serious nature of the quagmire we find ourselves in demands that some heads roll and this should start with Ze Maria sacking his associate, Prof. Sandro Fantoni. He should distance this man from Gor Mahia because he is a big under-performing embarrassment. Next, there should be some reconstitution of the Tech. Bench, ostensibly with replacement of the TM. By the way Ja’Asego are you Jolawi Obondo? Third is that a player like Karim has slowed both physically and mentally and his place should be taken by the industrious Wellington Ochieng’ until he regains his strength. Finally, Gatusso’s insubordination must not be tolerated. We must just soldier on with the rest of the players without compromising on individual and team discipline. Ja’Asego your wish-list for the June transfer window looks impressive and well-thought out except for Kiongera. I wonder what those EC members who blocked their signing are now saying. The problem is that such people never learn from their mistakes because of ballooned egos. I am sure that given another chance in January, they will repeat the same. This simply points out for need of structures as far as player scouting and recruitment is concerned. This apparent free-for-all is what has put us in this mess. Thank you Ja’Asego. I think it is enough that you are not him. The rest should remain under a very tight lid. Hehehe!! @Oduor12 you got it. Now that it is a stalemate what is the way forward? I don’t think none would want to play second fiddle to the other. No wonder the ceasefire talks are taking so long. Whatever the case, I think the professor should be dropped so that there is only “one centre of power” (T.O.). No wonder the our strikers have appeared as if they are wearing boots weighing 5 kg on each foot. @Ja’ Asego, I like your comments. seem to be more level headed and with solutions. Just saying that so and so must go without planning what happens later is akin to committing ‘suicide’.. A soccer team Is like a living animal and must be handled with care. It’s not a machine where you remove any old part and replace with another and viola it’s back to business. In these trying moments let’s support the team as it is now what we have while we ‘clandestinely’ identify future office bearers as well as potential recruits come the end of the season. The truth is that as much as things football have changed our administration still remains archaic. The former CEO (Aduda) and former Sec Gen (Omondi) tried their best but those for the old order could not allow them. I think it’s time we voted out Ngala and co and form a council of elders or trustees for which AR can be a member. In other words we must overhaul our Club constitution. Too much anger will cloud our judgment and the result will be more ‘damage’ than already there is. @Kisero, @Mwakio please let’s get your comments. Its turning out like I see to a political party.Do we will have different sides on the bench,saboteurs who it seems this time have been unleashed very early; unlike last year at Go tv with Nakumatt.Get a coach with his team and local scouts who can bring talent;not kauna woda players.Na hii tote goes back to the big man in Charge;AR. Zi maria,worrying about the fans demand is not the obligation that brought you here…kindly deliver as you promised us upon your arrival. Teams are really rallying behind us and from your sequence of winning one match and drawing ten,we shall finish the league at the relagation zone,,is this the record you want to register in GOR? You were once a coach for Flamengo in Brazil,how was the fans reactions when you dint perform? Why only blame fans in kenya,who invest heavily to support Gor mahia? Now with full benefits of doubt,we shall give you the last chance in our clash against chemeli sugar. People dont carries treble cups with the outcome of a barren draw in every competition. Change your tactics.